Hoody, available in Navy blue or Burgandy, embroidered club logo and name or initials and print to the back. XS - 34" S - 36" M - 40" L - 44" XL - 48" 2XL - 52" 3XL - 46"
Hoody, available in Navy blue or Burgundy, embroidered club logo to the left breast and name or initials embroidered to the right breast. 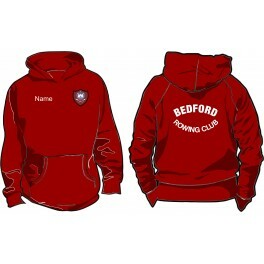 BEDFORD ROWING CLUB printed to the back.